It’s Never Been Easier To Get Great Locksmith Services In Pflugerville Texas! We are Austin Locksmiths and we have an awesome local team right here in the area providing residents, drivers, and commercial property managers with fast and affordable locksmith services in Pflugerville Texas. Locking yourself out of your car can be a catastrophe that most of us try to avoid. And yet, records show that people lock themselves out of their cars an average of twice per year. With around 200 million licensed drivers in the United States, that’s a lot of people looking for an emergency locksmith! Full installation and repair services. We cover the whole spectrum of locksmith services, from resolving car lockouts to repairing lock damage after a burglary. 24/7 availability. No waiting around in an emergency–we’re here whenever you need us. Fast response times of thirty minutes or less. Direct, up-front pricing. There’s no surprise fees or charges with us. We’re fully licensed and insured, making us a reliable choice for all your locksmith needs. And with a wide range of services, we serve everyone from individuals to businesses, with trained experts that make sure you get the best service for your money. Did you lock yourself out of your house, car, or office? Don’t worry, simply call us and we’ll be there in thirty minutes or less to get you back on your schedule. If your locks were damaged after a burglary, we also offer immediate repair services to help you feel secure again. And if you want to change your locks altogether, we’ve got experienced technicians waiting to help you rebuild your security system. Need a mobile locksmith for your vehicle? 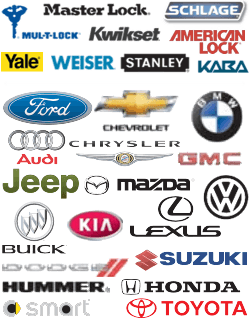 We offer expert key replacement that includes car keys, car fobs, transponder keys, and more. We also repair damaged ignition switches and help you get back in your car if you locked yourself out. Car security is one of our top priorities, and we’re here to help you have a safe driving experience. If you’re a business looking for a commercial locksmith, we’ve got a lot to offer. We’ll help you maintain a safe, secure location with access control system installation and repair, as well as master key system services. We also offer assistance with automatic door closing systems, panic bars, magnetic door locks, and more to ensure the complete safety of you, your customers and your employees. For homeowners, we offer crucial security services that include broken key repair, lock repair after a burglary, lock changes, and more. We’re also here to help if you accidentally lock yourself out of the house. Need a 24-hour locksmith? We’re always available in case of an emergency. 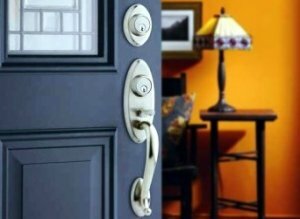 It’s our knowledge and expertise that help us provide the best locksmith services in Pflugerville. We can work with nearly any type of lock, from deadbolt locks, cylinder locks, mortise locks, high-security locks, and more. Looking for installation and repair services? We’ve got you covered. And we also offer assistance with keyless entry systems, for those of you working with a high-tech security system. If you need a locksmith, give us a call at (737) 222-7022. You can also fill out the contact form on our website, or visit the site to chat with a representative directly. No matter what you’re looking for, our team of expert locksmiths is here to help you fix your locks and get back to your day-to-day life. Security, fast service, and quality work are our top priorities. And once you’ve given us a try, we’re confident that you’ll love the results. 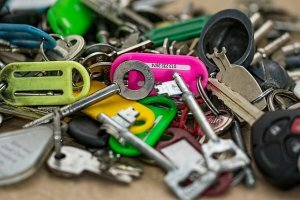 Locksmith Services In Pflugerville https://austinlocksmiths.com/pflugerville/ 4.0/5 based upon 11 reviews.